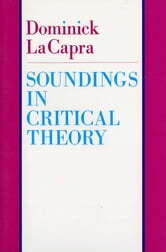 In Soundings in Critical Theory, Dominick LaCapra continues his attempt to fashion a historiography that is at once critical and self-critical—a project he initiated in Rethinking Intellectual History: Texts, Contexts, Language (1983); and History and Criticism (1985), both available from Cornell University Press. This new collection of essays offers a provocative assessment of the nature of historical understanding and the role of critical theory in historical understanding; of the practice of historical writing as a dialogic exchange both with the past and among professional historians and critics; and of the problem of how to read texts and documents in relation to processes of contextual understanding. A central concern of the volume is the interaction between Marxism, psychoanalysis, and postmodernism, and all of the essays demonstrate the complex ways in which this trio of critical theories continues to affect how historians frame their task. 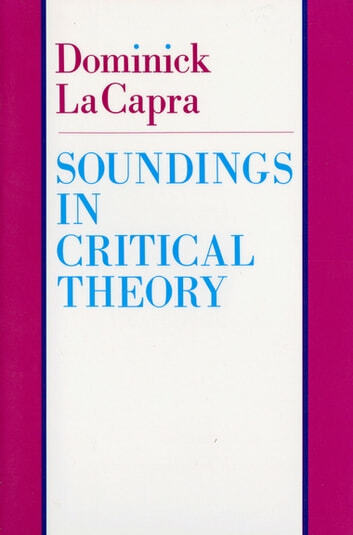 LaCapra first provides a general appraisal of the problems and possibilities of criticism as a genre that questions its own limits, and examines the roles of Jacques Derrida, Michel Foucault, Jean-François Lyotard, and Mikhail Bakhtin in the development of contemporary criticism. Subsequent chapters address such issues as the implications of psychoanalysis for the writing of history, the debate between Robert Darnton and Roger Chartier concerning the status of the symbolic dimension in history, and the problem of how best to read and make use of Marx's work. LaCapra concludes by exploring the larger project of forging viable links between history and critical theory and by evaluating the contributions of deconstruction and the new historicism to this project. Contemporary cultural and intellectual historians, literary theorists and critics, philosophers, and social scientists will welcome this book.